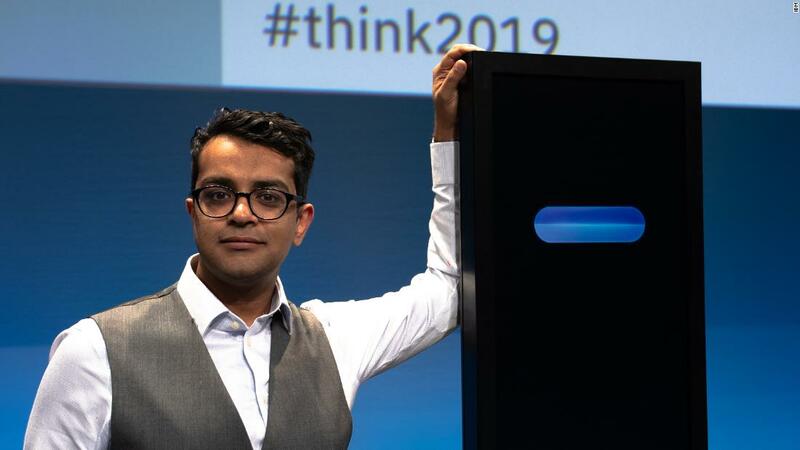 On Monday, Harish Natarajan, a great finalist in the 2016 World Debate Championship, faced the IBM Debater Project, a computer promoted by the company as the first artificial intelligence system created to significantly debate human beings. Natarajan won, but the computer demonstrated the increasingly complex arguments that AI is beginning to present. The Debater Project, which has been in the works since 2012, is designed to present coherent and compelling discourses of its own, while taking the arguments of a human opponent and creating its own rebuttal. He even formulates his own closing argument. To generate its arguments and refutations, the Debater Project uses articles from newspapers and magazines from its own database, and also takes into account the nuances of the arguments of the human opponent. It is not connected to the Internet and can not remove arguments from sites like Wikipedia. Monday's debate, organized by the non-profit organization that organizes the Intelligence Squared US debate, was held in front of an audience at the San Francisco Yerba Buena Center for the Arts. The subject of the debate, whether the preschool should be subsidized or not, was not revealed to the artificial intelligence system or to Natarajan until 15 minutes before they took the stage. Project Debater argued in favor of subsidized preschool. It followed the traditional style of debate. Each side gave an opening speech of 4 minutes, then each proposed a 4 minute rebuttal to the other party. In the end, they gave a 2 minute closing argument. The audience was asked to vote by one side or the other at the beginning of the debate, and again at the end. "Greetings, Harish," the Debater Project began, speaking in a mostly feminine, monotonous voice. He argued, among other things, that subsidized preschool can help break the cycle of poverty. He spoke in complete sentences and was based on a series of studies (including the Centers for Disease Control in the US). Natarajan followed, arguing against the resolution, saying that the subsidies would consume resources that middle-class families could use for other things. He also argued that subsidizing preschool does not mean that all children can attend. "There will still be individuals that will be discounted due to the realities of the market," he said. 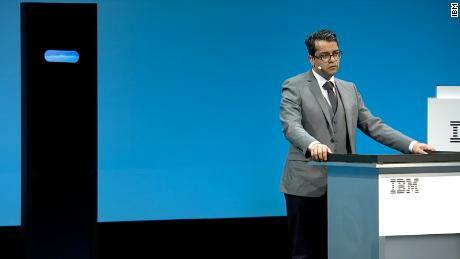 The segment of refutation of the debate was where some of the great differences between the human being and the computer (beyond the appearance and the vocal capacities) were exposed. Natarajan addressed specific parts of the arguments of the Debater Project and rejected them, such as saying that it is unrealistic to expect a government to have an unrestricted budget for useful programs. The refutation of the Debater Project, although expressed eloquently, seemed more a continuation of his initial argument than a true refutation of Natarajan's points. He saved his best arguments against his closing statement. Although out of order, all the elements of an adequate debate seemed to be present. While waiting for the final vote, Natarajan said it was interesting that the Debater Project could contextualize the information and obtain details of the investigation. Combining his skills with those of a human, he said, "it could be incredibly powerful." Before the debate, 79 percent of the audience agreed that preschool education should be subsidized and 13 percent disagree. In the end, 62 percent of the crowd agreed and 30 percent disagreed. Because this style of debate is scored by the side that wins more percentage points, Natarajan took the victory. The Debater project shows how artificial intelligence systems have become increasingly flexible in recent years. The artificial intelligence that we are accustomed to seeing, such as digital assistants integrated into smart speakers, can only be used in a very limited way, such as answering specific questions. But From IBM (IBM) The system shows how technology can also be used to explore problems that do not necessarily have a single answer. This could help people find new ways to work with computers and use AI to help us find more solutions to problems. "It's really pushing the limits. [of the] types of artificial intelligence systems that are more interactive with us and can understand us better, "said the director of IBM Research, Darío Gil, on CNN's First Move program on Monday.